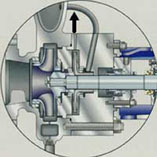 Split Flow Pumps — John Ruskin, "The Common Law of Business Balance"
It is unwise to pay too much. But it is worse to pay too little. When you pay too much you lose a little money — that is all. The common law of business balance prohibits paying a little and getting a lot — it cannot be done. If you deal with the lowest bidder, it is well to add something for the risk you run; and if you do that, you will have enough to pay for something better. "There is hardly anything in the world that some men cannot make a little worse and sell a little cheaper, and the people who consider price only, are this man's lawful prey." Split Flow "Words of Wisdom"